In anticipation of controversy about this stone and its modern color and shared meaning, I thought is was important to look up the origin of the name and discover the historical changes which have occurred. Chrysolite means “golden stone”; Greek chrysos = golden or yellow plus lithos = stone in Greek. 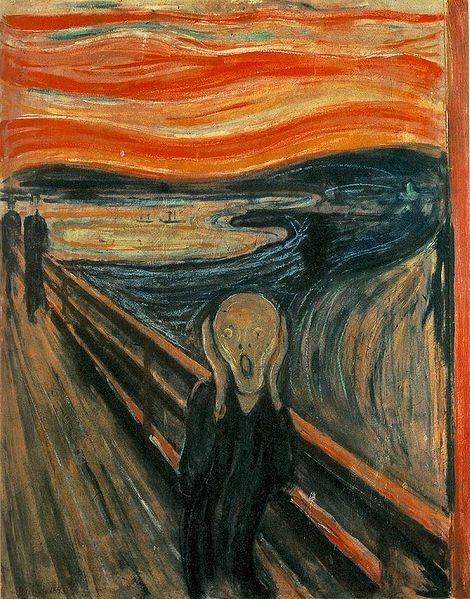 For the purpose of The Revelation Painting, that color definition is correct and the reason it is correct will be revealed closer to the release of the painting. If you have been keeping up with the previous stones, so far you would have learned that the “crown” of God’s New City “shines like the sun” and is “like a Jasper stone, as clear as crystal”. After that magnificent crown of absolute shining, glory (as God is notorious for making some things in his own image), you would have also seen that the stones to follow were the second and most important thing that we should NEVER forget, that Jesus shed his blood for us. Where the stones are placed, and by their fading color it is as though blood started easily and then became the reddest as seen in the red Emerald. The stones which followed made it visually apparent that the blood began to fade away until we arrived at the orange color of Sardius. That message is complete. We are now flowing into another mystery and Chrysolite is the mark of that division line. 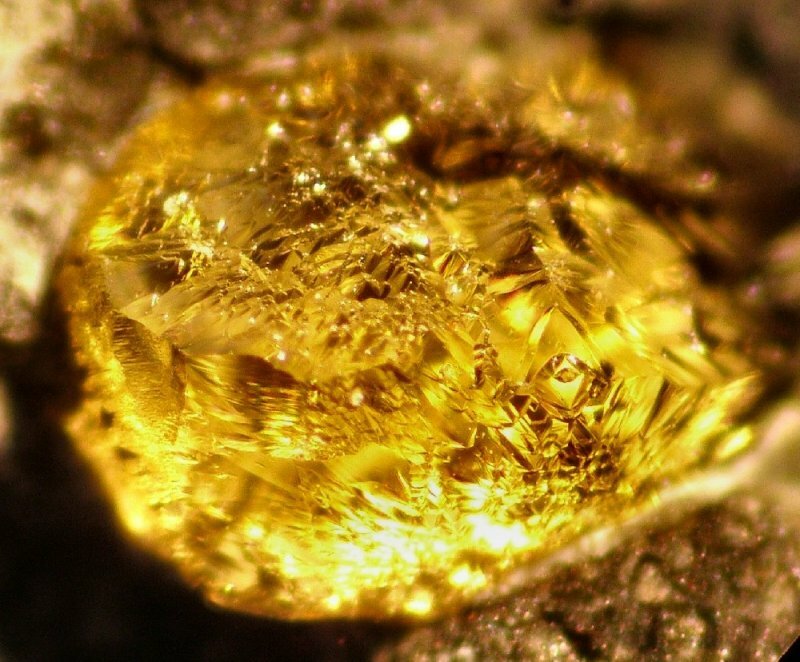 Mineralogists categorize Chrysolite and Peridot under the one species: Olivine. Numerous colors are included within the clear to green ranges but the general consensus is the colors of Olivine vary from light straw yellow, gold-yellow, to yellowish-green, are known as Chrysolite ; and the deep yellow-green, is called Peridot. The chrysolite is the “golden stone” of the ancients, and was at one time considered of very great value, even more than a diamond. Chrysolite is the seventh stone, seven is known as God’s number, and as you will see it is a division line between two important messages hidden within the structure of The New City and the city’s true meaning. Coming across some information I have yet to find again, I originally and mistakenly learned that Chrysolite was a Beryl which I have found recently to be untrue. I believe the mistake was made when confusion occurred between Chrysolite and Chrysoberyl. 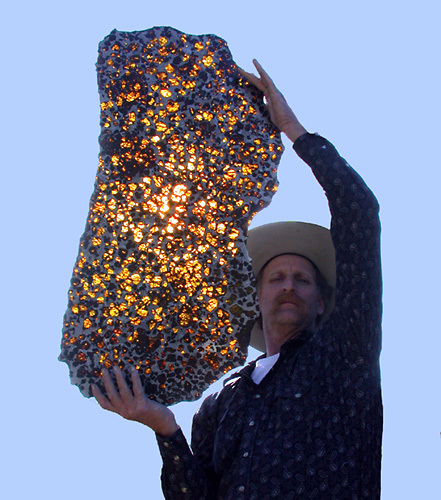 This magnificent specimen photo was borrowed from: http://silver-rockets.com/tag/meteorites/ of the Fukang (meteorite); The Fukang meteorite was found in the mountains near Fukang, China in 2000. Pallasites are a type of stony-iron meteorite with beautiful olivine crystals. CHRYSOLITE, is transparent variety of olivine. The true chrysolite of the modern mineralogist is a magnesium silicate. Certain kinds of topaz, from the Schneckenstein in Saxony, are known as Saxon chrysolite. The transparent yellow chrysoberyl with a ” brilliant” cut can and has be mistaken for a yellow diamond. This gem is also often mistaken for the chrysoberyl. The name, earlier in time was used for yellow varieties of tourmaline and topaz. The Healing Power of Chrysolite: Said to increase strength & physical vitality and protects against nervousness. Said to protect wrist, lungs, and the upper respiratory system including the sinuses from infection, injury and illness. It is also known to protect the adrenal glands and the liver. For emotions, it helps to protect feelings of sadness caused from another, or insult and calms anger by decreasing negativity, as well as helps sleep. Psychologically to reality, it is said that the stone, similar to Peridot has the ability to make dreams a reality and attract love to its wearer. The green of the stone attracts wealth. Chrysolite is harder than glass, but not as hard as quartz. The finest specimens are noted to come from Egypt and from Brazil. The stone is commonly found in certain volcanic rocks and as noted in the meteor photo above. Other localities where the stone can be found include, but is not limited to: Burma, Ceylon, Australia, China, Pakistan, Norway, and USA (Arizona, Colorado, Hawaii, and New Mexico). Very large crystals have been found in Myanmar and in the Minas Gerais in Brazil. Brazil covers nearly half of South America and is the continent’s largest nation. It extends 2,965 mi (4,772 km) north-south, 2,691 mi (4,331 km) east-west, and borders every nation on the continent except Chile and Ecuador. 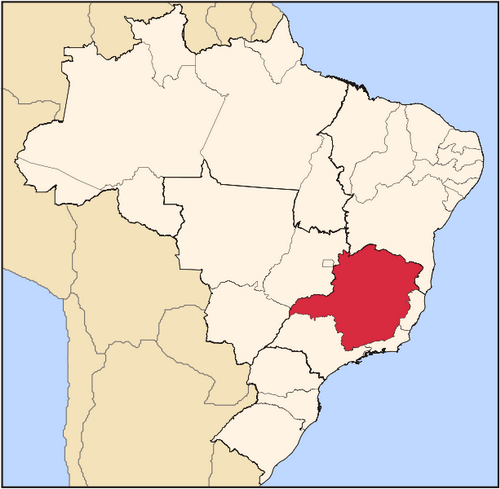 Brazil may be divided into the Brazilian Highlands, or plateau, in the south and the Amazon River Basin in the north. Over a third of Brazil is drained by the Amazon and its more than 200 tributaries. El estado más grande del productor sureste y principal productor de café y de leche del país, Minas Gerais es conocida por el patrimonio de la arquitectura y el arte colonial conservado en ciudades históricas como Ouro Preto y Tiradentes. En el sur, los puntos turísticos son los ranchos hidro minerales, tales como Caxambu, das Letras de São Lourenço e São Tomé -, Monte Verde y los parques nacionales de Ibitipoca y de Aiuruoca. Religion in Brazil is remarkable both in its high adherence level compared to other Latin American countries as well as its diversity. 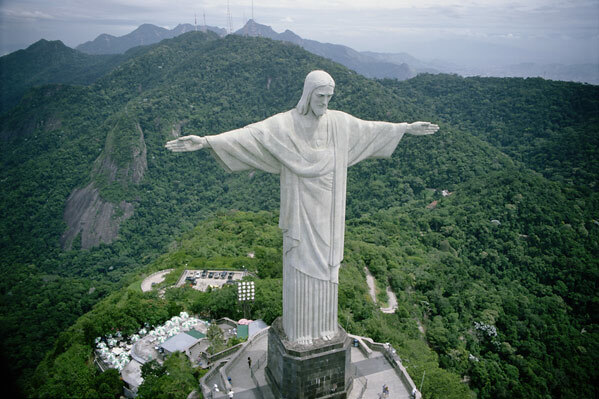 Since 1889, when the Brazilian Constitution was set forth, Brazil ceased to have an official religion. The Constitution guarantees absolute freedom of religion. Over seventy percent of the population declared themselves Roman Catholic in the last census (2000). However, there are many other religious denominations in Brazil. Some of these churches are the: Protestant, Pentecostal, Episcopal, Methodist, Lutheran, and Baptist. There are over a million and a half Spiritists or Kardescists who follow the doctrines of Allan Kardec. There are followers of The Church of Jesus Christ of Latter-day Saints, small minorities of Jews, Muslims, Buddhists and numerous followers of Candomble and Umbanda. Brazilian religions are very diversified and inclined to syncretism. In recent decades there has been a great increase of Neo-Pentecostal churches, which has decreased the number of members to both the Roman Catholic Church and the Afro-Brazilian religions. 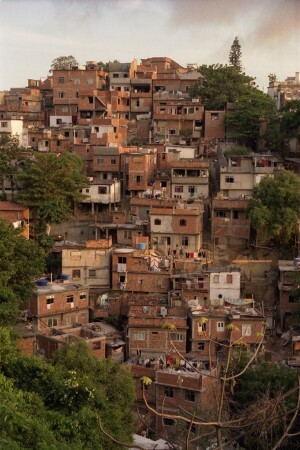 About ninety percent of Brazilians declared some sort of religious affiliation in the most recent census. And for the color lovers of the world, here is an excellent site about Brazil, the culture and historical Brazilian Carnival! The Carnival of Brazil, properly spelled “Carnaval” in Portuguese, is an annual festival in Brazil held forty days before Easter. On certain days of Lent, Roman Catholics and some other Christians traditionally abstained from the consumption of meat and poultry, hence the term “carnival,” from carnelevare, “to remove (literally, “raise”) meat.” Carnival celebrations are believed to have roots in the pagan festival of Saturnalia, which, adapted to Christianity, became a farewell to bad things in a season of religious discipline to practice repentance and prepare for Christ’s death and resurrection. Rhythm, participation, and costumes vary from one region of Brazil to another. In the southeastern cities of Rio de Janeiro and São Paulo, organized parades led by samba schools are influenced in aesthetics by Venice Carnival. Those official parades are specific to be watched by the public, although minor parades (called blocos) allowing participation can be found in other cities. The northeastern cities of Salvador, Porto Seguro and Recife have organized groups parading through streets, and public interacts directly with them. This carnival is heavily influenced by African-Brazilian culture. Crowds follow the trio elétricos floats through the city streets. Also in northeast, Olinda carnival features unique characteristics, part influenced by Venice Carnival mixed with cultural depictions of local folklore. Carnival is the most famous holiday in Brazil and has become an event of huge proportions. The country stops completely for almost a week and festivities are intense, day and night, mainly in coastal cities. The consumption of beer accounts for 80% of annual consumption and tourism receives 70% of annual visitors. The government distributes condoms and launches awareness campaigns at this time to prevent AIDS dissemination. Norway (pronounced /ˈnɔrweɪ/ Norwegian: Norge (Bokmål), Noreg (Nynorsk) or Norga (North Sami)), officially the Kingdom of Norway, is a Nordic country in Northern Europe occupying the western portion of the Scandinavian Peninsula, as well as Jan Mayen and the Arctic archipelago of Svalbard. 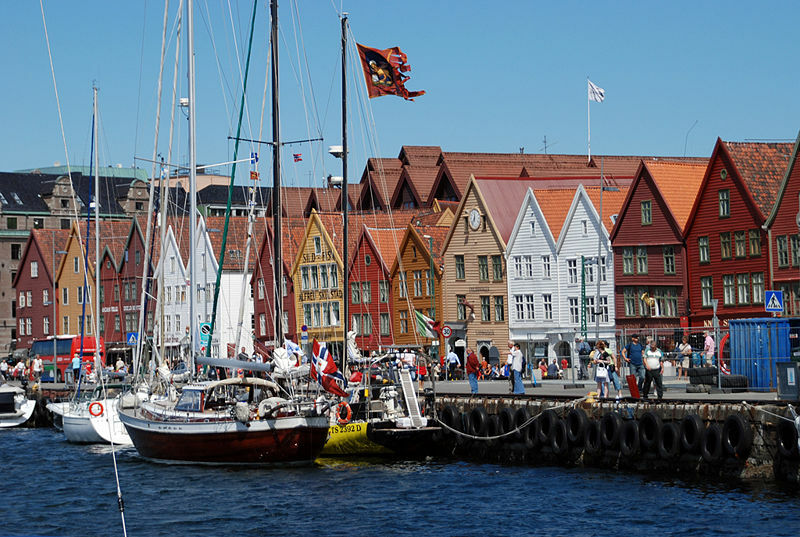 Norway has a total area of 385,252 square kilometres (148,747 sq mi) and a population of about 4.8 million. 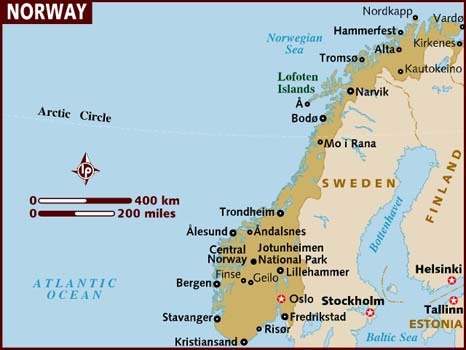 The majority of the country shares a border to the east with Sweden; its northernmost region is bordered by Finland to the south and Russia to the east; and Denmark lies south of its southern tip across the Skagerrak Strait. 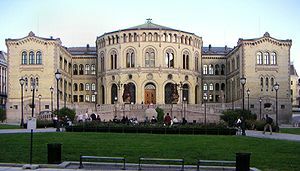 The capital city of Norway is Oslo. Norway’s extensive coastline, facing the North Atlantic Ocean and the Barents Sea, is home to its famous fjords. For an extended period, the Norwegian art scene was dominated by artwork from Germany and Holland as well as by the influence of Copenhagen. It was in the 19th century that a truly Norwegian era began, first with portraits, later with even more impressive landscapes. Johan Christian Dahl (1788–1857), originally from the Dresden school, eventually returned to paint the landscapes of western Norway, defining Norwegian painting for the first time. Norway’s new-found independence from Denmark encouraged painters to develop their Norwegian identity, especially with landscape painting by artists such as Kitty Kielland, a female painter who studied under Gude; Harriet Backer, 1845–1932, another pioneer among female artists, influenced by impressionism. Frits Thaulow, an impressionist, was influenced by the art scene in Paris as was Christian Krohg, a realist painter, famous for his paintings of prostitutes. 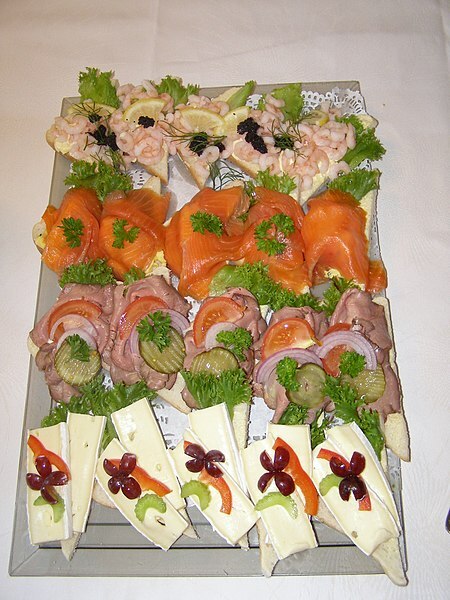 Norwegian cuisine in its traditional form is based largely on the raw materials readily available in Norway and its mountains, wilderness and coast. It differs in many respects from its continental counterparts with a stronger focus on game and fish. Modern Norwegian cuisine, although still strongly influenced by its traditional background, now bears the marks of globalization: Pastas, pizzas and the like are as common as meatballs and cod as staple foods, and urban restaurants sport the same selection you would expect to find in any western European city. There are many kebab and pizza stores in Norway, mainly run by Kurdish immigrants. Kjøttkaker – meatballs: the Norwegian variety is simpler than the Swedish, and served in a brown sauce (sauce espagnol) rather than a cream-sauce. Potatoes, stewed peas or cabbage and carrots are served on the side. Many like to use a jam of lingonberries as a relish. Svinekoteletter – pork chops: simply braised and served with potatoes and fried onions or whatever vegetables are available. Svinestek – roasted pork: a typical Sunday dinner, served with pickled cabbage (a sweeter variety of the German sauerkraut), gravy, vegetables and potatoes. All good cuts of meat are roasted, as in any cuisine. Side dishes vary with season and what goes with the meat. Roast leg of lamb is an Easter classic, roast beef is not very common and game is roasted for the bigger occasions. Lapskaus – stew: resembles Irish stew, but mincemeat, sausages or indeed any meat except from fresh pork may go into the dish. Fårikål – mutton stew: very simple preparation: cabbage and mutton is layered in a big pot along with black pepper, salt and some wheat flour to thicken the sauce, covered with water and simmered until the meat is very tender. Potatoes on the side. Stekte pølser – fried sausages: fresh sausages are fried and served with vegetables, potatoes, peas and perhaps some gravy.